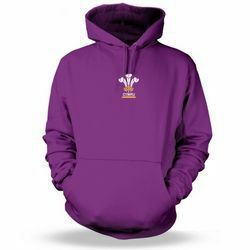 If you are a proud and Welsh then you are going to be well chuffed with our range of welsh hoodi designs that are now available on the welsh shop website. 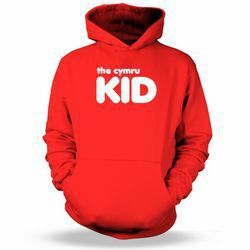 We now offer a range of welsh hoodies and sweats for kids as well as adults and although most of the designs are available in both, you may find the odd one that is'nt. If you are unable to find a design you like in in either kids or unisex then please just drop us a line and we will be happy to help. Over time we have increased the range of designs significantly and now there are over 50 designs to choose from and what is also great is the fact that you can have the design on a varity of different coloured tops. The unisex colours are Fire Red, Jet Black, Kelly Green & Purple whereas the kids colours are Fire Red & Kelly Green. The design collection includes are ever populat welsh slogan range with the most popular being Cymru Am Byth - Proud to be Welsh followed closely by Give Us a Cwtch! - Love from Wales and 3 Feathers Wales Rugby Hoodie. As always we are continuously adding designs to the range so please pop on back from time to time to check out what is new and just launched. And don't forget that for summer time we have a large range of welsh t shirts for both men, women and kids as well as a range of welsh polo's. As always if you have any questions just drop us an email using our online form which can be accessed using the contact us link at the bottom of the page.